“you” means the person, firm, company or other organisation hiring the Equipment and/or purchasing the Products. 2.1 The conditions do not affect any of your statutory rights where you are a person dealing as consumer, not for business purposes. Any section which would otherwise exclude or restrict your rights as a consumer will, to that extent have no force or effect. PLEASE ALSO SEE SECTION 14. 2.2 These conditions shall be incorporated in all Contracts and shall be the sole conditions under which the hire of Equipment, provision of the Services and sale of the Products takes place. All other terms, conditions and other representations are excluded from the Contracts between you and us including any terms and conditions which you may purport to apply under any Contract and these terms and conditions shall prevail. 2.3 Our employees or agents are not authorised to make any representations concerning the Equipment and/or Products unless confirmed in writing and any advice or recommendation given by us to you as to the storage, application or use of the Equipment and/or Products which is not confirmed in writing is followed or acted upon entirely at your own risk. 2.4 We reserve the right to provide Equipment and/or Products similar or comparable to that ordered by you. 2.5 The Contract shall become binding when we have acknowledged the order to you either verbally or in writing as appropriate. These conditions shall be applicable to all repeat orders made by you unless we notify you otherwise. 2.6 The Equipment is hired subject to it being available for hire at the time you request it. We will not be liable for any loss suffered by you as a result of the Equipment being unavailable for hire. 2.7 You shall obtain and comply with all permissions, consents and licences required for the Equipment under any statute, regulation or by-law. 3.1 The amount of any Deposit and Charges are detailed in the Order and are based on our current price list from time to time. 3.2 Where a Deposit is required for the Equipment it must be paid before you hire the Equipment. 3.3 You shall pay the Charges from the date specified in the Order and will continue paying the Charges during the Hire Period until (i) we have given you a collection or off-hire number; and (ii) you have returned the Equipment to us or we have collected the Equipment within a reasonable period after the issue of the off-hire number, being not more than 3 working days, and the Equipment is in a clean and serviceable condition and we have given you a receipt. All time during the Hire Period is chargeable and the Charges may be payable on Saturdays, Sundays and Bank Holidays (as appropriate). 3.4 If we are unable to collect the Equipment for any reason whatsoever after an off-hire number has been issued, we will provide an amendment form to be signed by you to extend the Contract and the Charges shall continue to be payable in accordance with the Contract. Any signature provided by your employees, agents, or representatives shall be deemed to be an authorised signature for and on your behalf for the purpose of the Contract. 3.5 Where a credit account has not been granted, payment of the Charges shall be made with your order for the Equipment or purchase of the Products. Otherwise, payment of any Charges or any other sums due under this Contract shall be made in full and cleared funds by the end of the following month from the month in the date of the invoice. 3.6 All Charges are, unless otherwise stated, exclusive of any applicable VAT. 3.7 Prompt payment under a Contract shall be of the essence. Payment shall not be deemed to be made until we have received either cash or cleared funds in respect of the full amount outstanding. 3.8 Without prejudice to any of our other rights, if you fail to make any payment in full on the due date we may charge you interest (both before and after judgment) on the amount unpaid in accordance with the Late Payment of Commercial Debts (Interest) Act 1998 as amended and supplemented by the Late Payment of Commercial Debts Regulations 2002 and/or to suspend further Services to you or any of your Associated Companies. 3.9 You shall pay all sums due to us under this Contract without any set-off, deduction, counterclaim and/or any other withholding of monies. 3.10 We may set a reasonable credit limit for you. We reserve the right to terminate or suspend the Contract for hire of the Equipment and/or the provision of Services if allowing it to continue would result in you exceeding your credit limit or you have already exceeded the credit limit. 4.1 Risk in the Equipment and/or Products will pass to you immediately when the Equipment leaves our physical possession or control. 4.2 Risk in the Equipment will not pass back to us from you until the Equipment is returned to our physical possession. 4.3 Ownership of the Equipment remains with us at all times. You have no right, title or interest in the Equipment except that it is hired to you. 4.4 Ownership of any Products remains with us until all monies payable by you (or any of your Associated Companies) under the Contract or any other contract between us (or any of our Associated Companies) and you (or any of your Associated Companies) have been paid in full and cleared funds. 4.5 You must not deal with the ownership or any interest in the Equipment. This includes but is not limited to selling, assigning, mortgaging, pledging, charging, securing, hiring, withholding, exerting any right to withhold, disposing of and/or lending. 4.6.3 Gold Shield: if you purchase Gold Shield at 10% of the hire rate of the Equipment, the first £500 of the cost of repair arising out of accidental damage will not be payable by you subject to the provisions of Section 4.8 below. 4.7 If you are a cash customer then Gold Shield which is detailed in Section 4.6.3 above will be automatically charged to your Order and will apply subject to Section 4.8 below. 4.8.4 the Equipment has been wilfully or maliciously damaged by you. 5.1 You shall collect the Equipment from us and return it to us at the end of the Hire Period. If we agree to deliver or collect the Equipment to and/or from you, we will charge our standard delivery cost from time to time. 5.2 Where we provide the Services relating to the hire of Equipment the persons performing the Services are your responsibility. You shall be solely responsible for any damage which occurs as a result of such persons following your instructions during the Hire Period, except to the extent that the persons performing the Services are negligent. 5.3 You will allow and/or procure sufficient access to and from the relevant site and procure sufficient loading space, facilities, equipment and access to power supplies and utilities for our employees, sub-contractors and/or agents to allow them to carry out the Services. You will ensure that the site where the Services are to be performed is cleared and prepared before the Services are due to commence. 5.4 You shall provide suitable access route for delivery and collection of the Equipment with unrestricted entry and approach and supply and lay timbers or appropriate temporary foundations in a suitable position for loading and unloading and for the Equipment to rest on. 5.5 You shall pay for any lifting or special apparatus required for the siting of the Equipment. 5.6 If any Services are delayed, postponed and/or cancelled due to your failure to comply with your obligations under the Contract, you will be liable to pay additional standard charges from time to time for such delay, postponement and/or cancellation except where the delay is due to Force Majeure. 6.1.11 where the Equipment requires fuel, oil and/or electricity ensure that the proper type and/or voltage is used and that, where appropriate, the Equipment is properly installed by a qualified and competent person. 6.2 You must return the Equipment in good working order and condition (fair wear and tear excepted) in a clean condition together with all licences, registration and other documents relating to the Equipment. 6.3 It is your responsibility to check the calibration of the Equipment on each occasion before use. Final determination of the suitability of the Equipment for your specific use is your responsibility and you must assume all risk and liability in this regard. 7.1 Allowance will be made in relation to the Charges for any non-use of the Equipment due to breakdown caused by the development of an inherent fault and/or fair wear and tear provided that you inform us as soon as practicable of the breakdown. 7.2 You shall be responsible for all expenses, loss (including loss of Charges) and/or damage suffered by us arising from any breakdown of the Equipment due to your negligence, misdirection and/or misuse of the Equipment. 7.3 We will, at our own cost, carry out all routine maintenance and repairs to the Equipment during the Hire Period (but you agree that you are responsible for applying all lubricating oils and other maintenance detailed in the operating instructions) and all repairs which are required due to fair wear and tear and/or an inherent fault in the Equipment. 7.4 You will be responsible for the cost of all repairs necessary to Equipment during the Hire Period which arise otherwise than under Section 7.3 above. 7.5 It is your responsibility to return Equipment to us or arrange for us to collect Equipment for re-testing 3 months after the date on which the Hire Period commenced. 7.6 You must not repair or attempt to repair the Equipment without our prior written consent. 7.7 If specifically agreed in advance between us, we will provide an out of hours emergency service to you in respect of breakdowns under this clause 7. 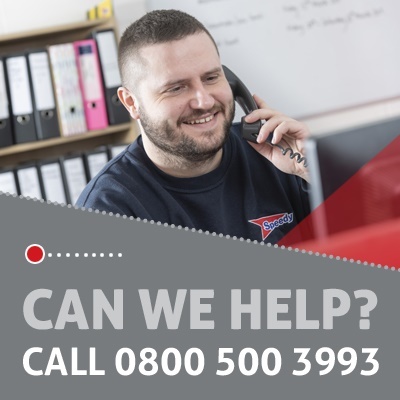 Where this has been agreed with you, you can call us on 0844 567 1034 outside of usual working hours in relation to any of the Equipment or Services for which you have signed a Contract during the Hire Period. Additional charges for this service will apply and shall be as set out in your Contract, or in the absence of such agreement, as listed on our website. 8.1 If the Equipment is returned in damaged, unclean and/or defective state (except where due to fair wear and tear and/ or an inherent fault in the Equipment) you shall be liable to pay us for the cost of any repair and/or cleaning required to return the Equipment to a condition fit for re-hire. Your liability to us may be reduced if you have purchased Protection Plus as outlined in Section 4.6. 8.2 You will pay to us the replacement cost of any Equipment (on a new for old basis) which is lost, stolen and/or damaged beyond economic repair during the Hire Period. Again, your liability to us may be reduced if you have purchased Speedy Shield as outlined in Sections 4.6 to 4.8. 8.3 You will pay to us our costs which we may incur in tracking or recovering any lost or stolen Equipment. 8.4 You shall pay the Charges for the Equipment up to and including the date you notify us that the Equipment has been lost, stolen and/or damaged beyond economic repair. From that date until we have replaced such Equipment (or retrieved any lost or stolen Equipment), you shall pay, as a genuine pre-estimate of lost Charges profit, a sum as liquidated damages being equal to two thirds of the Charges that would have applied for such Equipment for that period. We shall use our reasonable commercial endeavours to purchase replacements for such Equipment as quickly as possible using the monies paid under Section 8.2. 8.5 You agree that where you are in breach of Section 6.1.5 or Section 6.1.7, we shall be entitled to treat the Equipment as lost and the provisions of this Section 8 shall apply. 9.1 If the Hire Period has a fixed duration, subject to the provisions of Section 10 neither party shall be entitled to terminate the Contract before the expiry of that fixed period unless by agreement. 9.2 If the Hire Period does not have a fixed duration either party may terminate the Contract upon giving to the other party any agreed period of notice. 10.1.11 appear reasonably to us to be about to suffer any of the above events; then we shall have the right, without prejudice to any other remedies, to exercise any or all of the rights set out in Section 10.2 below. 10.2.4 any credit period in relation to payment of the Charges shall be accelerated and all sums, all monies owed by you (or any of your Associated Companies) to us (or any of our Associated Companies) under this Contract or any other Contract between you (or any of your Associated Companies) and us (or any of our Associated Companies) shall immediately become due and payable. 10.3 Any repossession of the Equipment and/or Products shall not affect our right to recover from you (or any of your Associated Companies) any monies due under the Contract or any other contract between you (or any of your Associated Companies) and us (or any of our Associated Companies) and/or any damages in respect of any breach which occurred prior to repossession of the Equipment and/or Products. 10.4.2 pay to us (or any of our Associated Companies), in full and cleared funds, all outstanding Charges and/or any other sums payable under the Contract or any other contract between us (or any of our Associated Companies) and you (or any of your Associated Companies). 11.2 If we are found to be liable in respect of any loss or damage to your property the extent of our Liability will be limited to the retail cost of replacement of the damaged property. 11.3 Any defective Equipment and/or Products must be returned to us at your expense for inspection before we have any Liability for defective Equipment and/or Products. 11.4 We shall have no Liability to you if any Charges or monies due in respect of the Equipment, the Services and/or the Products have not been paid in full and cleared funds by the due date for payment. 11.5 We shall have no Liability resulting from or contributed to by your continued use of defective Equipment and/or Products after a defect has become apparent or suspected or should reasonably have become apparent to you. 11.6 We shall have no Liability to you to the extent that you are covered by any policy of insurance and you shall ensure that your insurers waive any and all rights of subrogation they may have against us. 11.7.4 business interruption, loss of business, contracts and/or opportunity. 11.8 Our total Liability to you under and/or arising in relation to any Contract shall not exceed 5 times the amount of the Charges or the sum of £1,000, whichever is the higher, under that Contract. To the extent that any of our Liability to you would be met by our insurance then our Liability shall be extended to the extent that such Liability is met by such insurance. 11.9.3 Liability for breach of statutory and/or common law duty; except Section 11.8 above which shall apply only once in respect of all the types of Liability under this Section 11.9. 11.10 Nothing in this Contract shall exclude or limit our Liability for death or personal injury due to our negligence nor exclude or limit any other type of Liability which it is not permitted to exclude or limit as a matter of law. 12.1 Upon termination of the Contract the provisions of Sections 3.3, 3.8, 3.9, 8.1, 8.2, 8.3 and Section 6 shall continue in full force and effect. 12.2 The hiring of each piece of Equipment in the relevant Hire Period shall form a distinct Contract which shall be separate to any other Contract relating to other Equipment. 12.3 You shall be liable for the acts and/or omissions of your employees, agents, servants and/or subcontractors as though they were your own acts and/or omissions under this Contract. 12.4 You shall be responsible for compliance with all relevant legislation and regulations issued by Government or local authorities, including (but not limited to) regulations under the Factories Acts, Health and Safety at Work Act. 12.5 You agree to indemnify and keep indemnified us against any Liability suffered by us and arising from or due to your breach of contract, tort (including negligence) and/or any breach of statutory duty and/or any claim from a third party for injury to person or property arising from your use or storage of the Equipment. 12.6 No waiver by us of any breach of this Contract shall be considered as a waiver of any subsequent breach of the same provision or any other provision. 12.7 If any provision of the Contract is held by any competent authority to be unenforceable, in whole or in part, the validity of the other provisions of this Contract and the remainder of the affected provision shall be unaffected and shall remain in full force and effect. 12.8 We shall have no Liability to you for any delay and/or non-performance of a Contract to the extent that such delay is due to Force Majeure. If we are affected by Force Majeure then time for performance of our obligations under the Contract shall be extended for a period equal to the period of the delayed performance. 12.9 These terms and conditions supersede and replace all prior terms and conditions, communications, representations, warranties, stipulations, undertakings, and agreements whether oral or written between the parties. 12.10 All third party rights are excluded and no third parties shall have any rights to enforce the Contract. 12.11 This Contract is governed by and interpreted in accordance with English law and the parties agree to submit to the exclusive jurisdiction of the English courts in relation to any matter or dispute arising out of or in connection with it (whether of a contractual or tortious nature or otherwise). Notwithstanding the above, where you are registered outside of England, Speedy may, at its absolute discretion, initiate proceedings against you in the country of your registration and you agree to submit to the jurisdiction of such courts should Speedy so elect. 12.12 We have the right to vary the Contract, by giving you 7 days written notice of such variation. 12.13 You shall not, and shall procure that your directors, employees, agents, representatives, contractors or subcontractors shall not engage in any activity, practice or conduct which would constitute an offence under the Bribery Act 2010. You shall have in place adequate procedures designed to prevent any person working for or engaged by you or any other third party in any way connected to the Contract, from committing offences of corruption or bribery. Breach of this Section 12.13 shall entitle us to terminate with immediate effect. 13.1 Hires to individuals or partnerships of 3 individuals or less (or other unincorporated body of individuals) shall not be for a period in excess of 3 months. You shall return the Equipment to us on or before the last day of such three month period. 13.3, 13.4, 13.5 and 13.6 will only apply in the circumstances listed in this section 13.2. 13.3 IMPORTANT YOU SHOULD READ THIS CAREFULLY TO FIND OUT ABOUT YOUR RIGHTS. The Consumer Credit Act 1974 lays down certain requirements for your protection which should have been complied with when this agreement was made. If they were not, we cannot enforce this agreement against you without getting a court order. 13.4 For further information about your statutory rights under the Consumer Credit Act 1974 and other legislation, contact your local authority Trading Standards Department or Citizens Advice Bureau. 13.5 MISSING PAYMENTS – Missing payments could have severe consequences and may make obtaining credit more difficult. 13.6 If you have a complaint please contact us and we will supply you with a copy of our complaints handling procedure. Once you have issued a formal complaint in line with the procedure, we will respond as soon as possible and in any event within eight weeks of receiving your complaint. If you are dissatisfied with our response you may refer your complaint to the Financial Ombudsman Service within six months of the date of our final response. 14.1 PLEASE NOTE THAT THIS SECTION ONLY APPLIES WHEN YOU ARE ENTERING THE CONTRACT AS A CONSUMER. 14.3 Should any defect occur in the Equipment and/or Products, other than one for which you were responsible, we will at our option either, replace or repair the Equipment and/or Products (at no charge to you) as soon as is reasonably practicable. We shall not replace, repair or service any Equipment and/or Products until any outstanding Charges have been paid in full and cleared funds.